If you’ve ever tried to take your dog out for a night walk or to relieve in pitch black darkness then you know how challenging those night dog walks can be. The light in your cell phone might help but it does not provide sufficient light on dark nights. Your best solution is to invest in a good LED Safety Light Up Dog Collar that will make your nightly dog walks safer and more fun. 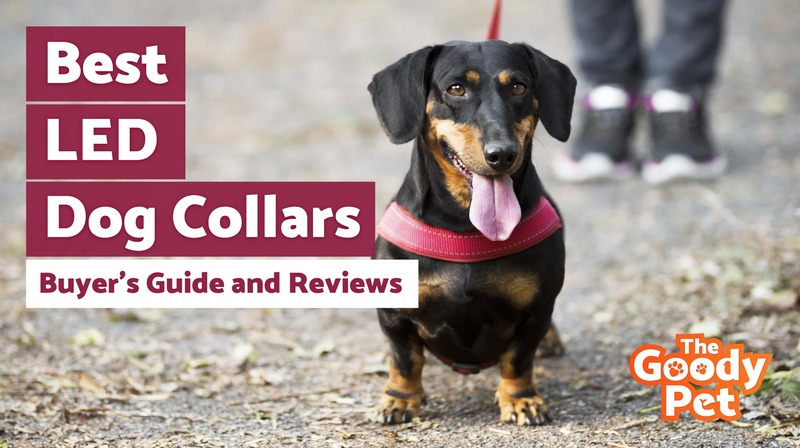 This buying guide looks at the best LED light up collars on the market today and a few things you need to consider when shopping for these handy dog collars. How Safe Are LED Dog Collars? The Illumissen LED Dog Collar is our top pick for the best LED dog collar. What makes this collar unique is the fact that it comes with an all-round bright lighting system. The lights tube is integrated into a nylon material. These lights are visible from a long distance. It is a great choice for anyone looking for the best night visibility for their dog. The collar is made of a high-quality material that ensures that your dog remains comfortable when wearing it. The lights can be controlled using the collar’s quick, slow, or steady mode. The collar comes with a rechargeable battery that lasts up to 12 hours from a single charge. It can easily be adjusted to fit dogs of all sizes and breeds. Illumiseen LED Dog Collar is one of the best LED collars on the market today. It is designed for the safety of your dog. The collar comes in a variety of colors to choose from. It has a convenient long-lasting rechargeable battery that gives you up to 12 hours from a single charge. The collar is not only bright but comfortable for your dog too. Your dog will feel happy wearing this collar in the dark. If you are looking for a good quality LED light up dog at the best price then the BSEEN LED Dog Collar is your best option. It is a convenient and easily adjustable collar that can fit dogs of all sizes. The glow in the dark dog collar is made of good quality material and even comes with a rechargeable battery. The collar is made of a strong plastic that doesn’t tear easily. It lights up brightly to ensure that your dog is visible and easily spotted from far at night. The lights can be controlled with an easy push of a button. It has three lighting modes namely fast flash, slow, and steady glow. It has a very convenient and long lasting battery that lasts for up to 6 hours before the next charge. You can also charge the battery conveniently using the collar’s USB port. This is one of the most affordable LED dog collars with all the features of a high-end product. If you are looking for a dog collar that is budget friendly and gives the best service then the BSEEN LED Dog Collar is all you need. It has a stylish elegant design that looks sophisticated around your dog’s neck. The budget-friendly LED dog collar provides good visibility and comfort to your dog. The Metal Buckle LED Dog Collar by Pet Industries is highly recommended for anyone looking for an LED dog collar with a bright light. It does light brightly, thanks to its LED optical fibers which are insulated against damage by strong nylon material. 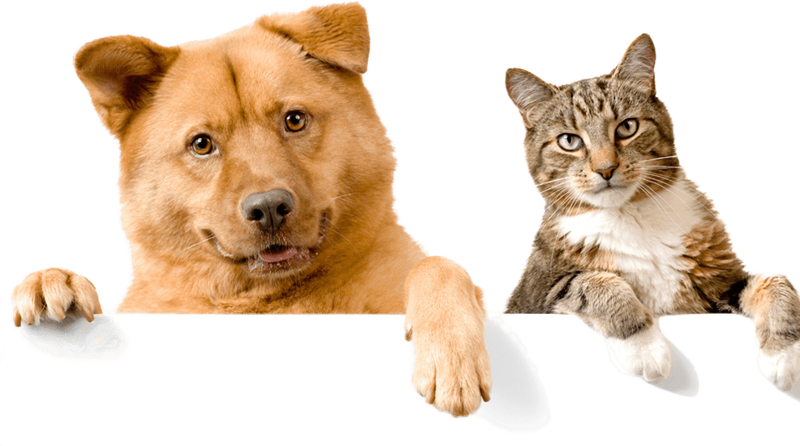 They will serve you for a long time without suffering damage due to your dog’s activities. The dog collar is waterproof and can withstand exposure to light rain and moisture. The nylon is easy to clean and dries very fast without giving bad odor. The unit comes with a USB charging system which can last six to seven hours from a single charge. With the three modes of light control, bright light, and a long-lasting battery, the Metal Buckle LED Dog Collar by Pet Industries is a perfect LED dog collar for night walks. The Clip-On Pet, Dog Collar LED Light is all you need when you want to take our dog out on an evening walk in a poorly lit environment. It has all the benefits of a plain dog collar with the added benefit of LED lights. The lights illuminate your dog making it visible from a distance. It is a great accessory for the safety of your dog or when the pooch strays off in the dark. It comes with 12 long lasting batteries for easy recharge. It is available in 8 different colors to choose from. These are very convenient clips that can come in handy when walking your dog in darkness. You just need to affix one on your dog’s collar and you are good to go. The batteries last long too. Shine for Dogs Ultimate LED Dog Collar is a dog collar with optic fibers that shine in a bright glow around your dog’s neck. The light ensures good visibility for your dog and guaranteed safety when walking at night. It can easily be adjusted to fit any dog and is also comfortable on the dog. The LED dog collar comes with a USB charging system. The battery lasts for up to 10 hours when fully charged. It is made of high-quality material that cannot be damaged by water. It has a strong and durable construction. With Shine for Dogs Ultimate LED Dog Collar, you are assured of good visibility for your dog when taking an evening stroll with your furry friend. It is a safe and comfortable glow in the dark dog collar. The Nite Ize’s NiteHowl LED Safety Necklace Dog Collar is made of a flexible tube that can be adjusted and cut to fit a dog of any size. It has a bright light fiber inserted inside the tube to give glowing light around the dog’s neck. The lights can be set on a glow or flash mode depending on your preference flash mode. It is comfortable for the dog and has a strong durable design. It comes with extra batteries for easy recharging. This collar will guarantee clear visibility to your dog thanks to its bright glow. It comes in different colors and looks elegant around your dog’s neck. Illumifun LED Dog Collar is a lightweight collar made of nylon and webbed in a light fiber which shines brightly in your preferred color. It is adjustable to fit big or small dogs. The collar is made of a good quality material that will serve you for a long time without wear and tear. It is light and comfortable. The LED dog collar comes with USB-rechargeable batteries that last long. You can easily change its light mode from flash to steady or fast flash with a single push of a button. The battery lasts for twelve hours when in slow flash and three hours in steady mode. This is a lightweight collar for your dog and it won’t feel like a burden around your dog’s neck when taking your evening walk in the dark. It produces bright light that can be seen from far. An LED Safety Light Up dog collar is an illuminating device worn around the dog’s neck. The LED dog collar has a mechanism that emits light via LED bulbs. The device comes with a power source, usually a battery, which produces light. It also features an ON/OFF control switch. The LED dog collar helps to increase your dog’s visibility in an environment with total darkness or low light conditions. The luminous LED light produced by the collar help to warn people within the visual range of the dog that there is a dog nearby. The LED Glow in the Dark dog collar will save your dog’s life more than put it in danger. It is designed with safety in mind. In the unlikely event of a malfunction, the device might give your dog a tiny harmless electric jolt, which only feels like a bee sting. The collar’s battery pack may also get a bit hot but not hot enough to affect your dog. Overall, the LED Safety Light Up Collar is 100% safe for your dog. The light-up collars are very useful in keeping track of your dog at night. Watching your dog glowing around the backyard at night may not be quite necessary but it helps a lot when you are in outdoor places such as the beach or campsite. You won’t need to worry where your pooch has strayed off in the middle of the night when you can clearly see him glowing in the dark. It is usually very difficult for motorists to see a dog in the middle of the road at night. The LED light up collar makes your dog visible from a distance and goes a long way in preventing accidents. Walking your dog at night can be quite cumbersome if you can’t clearly see what lies in your path. Dogs have a habit of crisscrossing your path, especially when leading by the leash. The LED collar helps to illuminate your path and make things easier for both you and your dog. You won’t need to hold a flashlight when the dog’s collar can glow and show all the bumps and obstacles on your way. Have you ever tried to hold your dog’s leash and your flashlight or phone while trying to pick up dog poop in the dark? If you haven’t, just know that it is not your idea of fun. However, with an LED dog collar shedding light all around, you won’t need to hold a flashlight or phone and you’ll have a spare hand to pick up the poop easily. LED Safety Light Up dog collars come in different styles and designs. Some feature LED strips around the collar while others have the lights on specific sections of the collar. Most people prefer a 360 degrees light design as it provides a brighter all-round illumination. There are also different buckle and string styles including single string, double string, and PVC strap. Quality and durability are important factors to consider in every purchase you make. Look for an LED dog collar with a high-quality durable design. Check its electrical components and make sure that they’ll keep on working perfectly for a long time. Avoid extremely cheap collars which tend to experience electrical failures after a few uses. Make sure the LED light up dog collar you invest in provides sufficient brightness in the dark. A collar with dull light will not be of much use when walking your dog at night. The whole purpose of getting the collar is to get sufficient lighting through the dog’s collar. LED dog collars come in diverse styles and colors. Get one in a color that matches your dog’s appearance. We highly recommend going for an LED collar that is adequately waterproof, especially if you live in places that experience wet or rainy weather most of the time. The unit may not be 100% waterproof but it should ideally be water resistant and capable of withstanding exposure to light rain. Most LED light up dog collars come with a USB-rechargeable battery while others are powered by a coin battery. Rechargeable batteries are not only eco-friendly but they are also convenient and easy to recharge and use. Coin batteries, on the other hand, have the advantage of lasting a long time before replacement. There are many ways of adjusting and resizing an LED glow in the dark dog collar. Some come with a buckle that you can easily use to resize the collar while others cannot be adjusted and may require cutting off a piece of the collar to fit your dog’s neck. An adjustable collar is a great option, especially if you plan to use the collar on multiple dogs. LED dog collars can save the life of your dog if it ever strays off in the dark. The collar allows you to see where the dog is, makes the dog visible to motorists, and even helps you to see and pick up the dog’s poop with ease. However, given the numerous LED dog collar models and brands on the market today, finding the right model for your dog can be difficult for first-time buyers. Our top pick for the best LED dog collar is the Illmissen LED Dog Collar. It comes with an all-round lighting system and is visible from a long distance. The collar is made of high-quality materials for performance and durability. It has a USB rechargeable battery that can last a long time after a single charge.